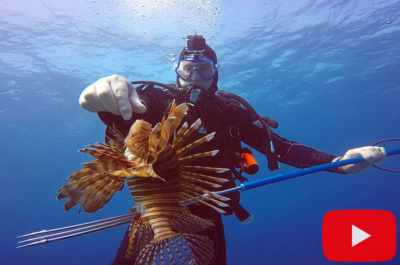 Roger J. Muller, Jr. of Hoboken, NJ and Norman Arends of Aruba Scuba Safari, are taming a Lionfish underwater in Aruba. Inexperienced divers should NOT try this. 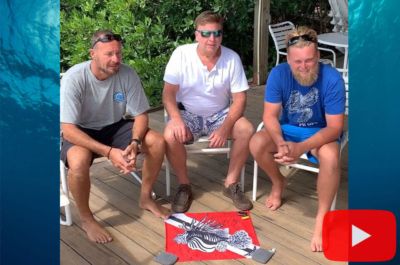 If the Lionfish spine hits Roger or Norman they could have been in pain for hours! 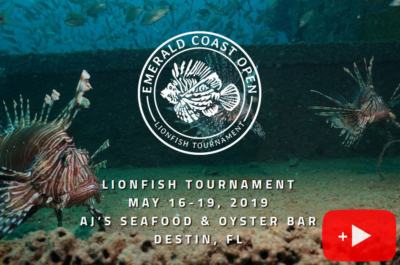 Lionfish carry a deadly venom in their spines. This venom must be injected into the bloodstream to cause harm. This is not deadly to a healthy human, but will cause tremendous local pain and swelling. 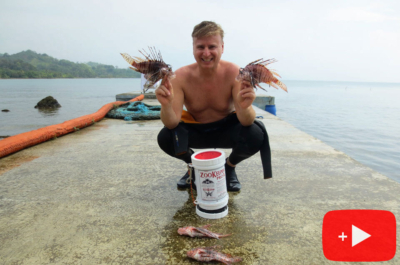 Watch Roger’s experience getting stung by a venomous lionfish while spearing in Portabello, Panama. 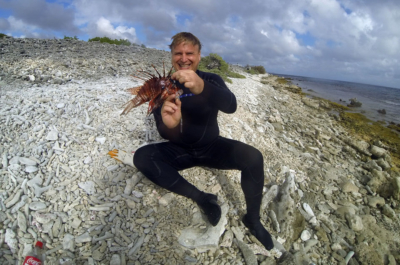 Norman has been taming Lionfish for a long time and taught Roger his skills. Notice how Norman uses his open hand and then the top of his hand to mesmerize the small Lionfish.